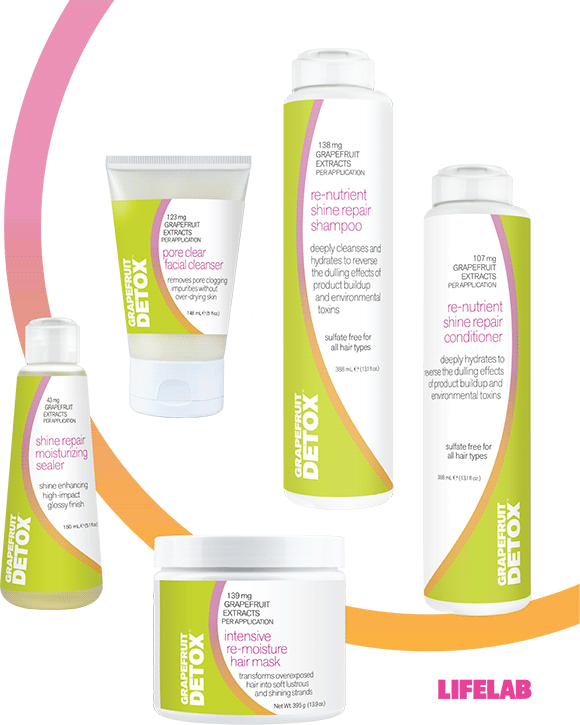 Daily cleansing and clarifying isn’t enough to protect the health of your skin and hair. Healthy hair and skin needs to be replenished every day. Post-clarification is the ideal time to re-nutrify your skin and hair because removing excess layers of impurities, product build up and environmental toxins leaves skin and hair in a fresh clean state that is optimal for moisture and nutrient absorption. Yes, you can clarify every day for a fresh clean start without over drying or damaging your hair and skin. Active ingredients in the Grapefruit Detox formula naturally purify and exfoliate without the use of harsh chemicals or abrasive exfoliants, making it ideal to use daily to dissolve excess oil and toxins that build up on skin and hair throughout the day. After researching shampoos to help with hard water build up I decided to try this one and I love it! It has completely changed how my hair looks and feels after washing. I had a chance to use this serum over the past couple days and love that it leaves my hair with an extra bit of shine while it works to remove impurities and pollutants for clean, shiny hair.